On a frosty morning at Richard Lenoir market near Bastille, Palmira Munio, a retired seamstress and cleaner, was trying to keep warm at the back of a long queue at the horse butcher stand. “A nice horse steak, quickly seared on both sides, and served rare: delicious,” she said.Munio, 76, has bought horsemeat here twice a week for more than 20 years. But suddenly this week the queue seemed inordinately long. The reason? Proving once again the axiom that there is no such thing as bad publicity, the European scandal of rogue horsemeat in frozen lasagne has sparked a boom in sales of the flesh at France’s traditional horse butchers. The French industry body for horse butchers, Interbev Equins, estimates there has been rise of up to 15% in horsemeat sales since the scandal broke. With French customers now wary of ready-meals – frozen food sales are down 5% in France, and trade at organic stores has risen – shoppers have been flocking to traditional artisan butchers, particularly to get horse. “No one is more trustworthy than a good horse butcher,” said a retired secretary in her 60s, who had spent less than €5 on her “excellent value” weekly horsemeat purchase. Behind his display of horse steaks, dried horse sausage, horse pâté, and mincing machine for preparing fresh mince to be eaten raw – as horse tartare – the butcher, Daniel Adam, said he had had a rise in sales since lasagnegate. “Everyone’s talking about horsemeat,” he said. “People are thinking ‘ah horsemeat, I’d forgotten about that option, I think I’ll come back to it’,” He said the scandal over horsemeat used in “beef” ready-meals had not sparked negativity about the meat. “Instead they are questioning the processed food industry,” he said. Adam, from Paris, has been a horse butcher for more than 30 years. His meat, he said, came from horses in the Sarthe and Mayenne regions, in north-west France. Even before the lasagne scandal he had noticed a renewed interest in eating horse among a new, younger, clientele. He described the craft of horse butchery as precise. “We’re described as surgeons of meat,” he claimed. As he worked, younger customers craned over from the neighbouring cheese stall for a look. His clients include English people living in Paris and the personal chefs of stars living in Marais nearby. In France, horsemeat consumption dates to the 1700s. For centuries it was a cheap, working-class, food. The biggest quantities are still eaten in the old coal-mining areas of the north-east, followed by Paris, then south-east France. But since the 1980s consumption had steadily dropped. 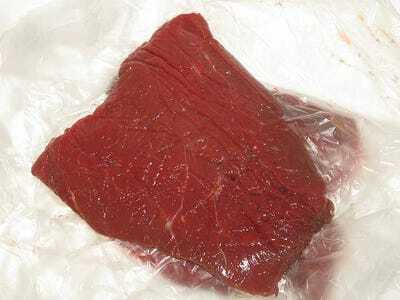 Now, about 16% of French households buy horsemeat. In recent years the industry has ramped up marketing campaigns of the low-fat, low-cholesterol meat, aiming particularly at women, despite Brigitte Bardot campaigning against eating horse. France consumes about 20,000 tons a year, but in Italy, where horse sausage and cured meat is popular, the population eats about twice as much. The 700 specialised horse butchers in France represent a sharp drop on the number 10 years ago. The steady closure of horse butcher shops is mainly attributed to butchers retiring and a lack of people training and being ready to take over. Almost three-quarters of French consumers eating horsemeat are more than 50 years old. Under 35s accounted for only 7% of customers in 2011.